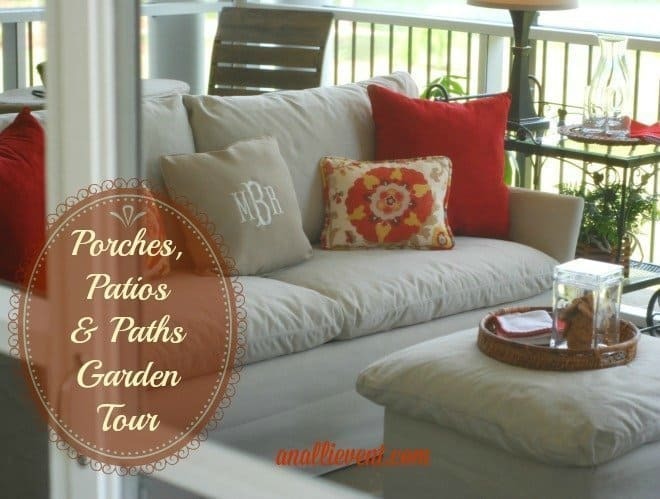 On the Saturday before Mother’s Day, my three daughters whisked me away to the Porches, Patios & Paths Garden Tour in the nearby town of Cheraw, South Carolina. Cheraw is pronounced chuh-RAW or shuh-RAW, according to who you ask, and is often referred to as “the prettiest town in Dixie.” And now I know why. The tour is provided by The Four Seasons Garden Club. It is sponsored by local businesses and individuals. We were invited to tour six homes and the cost was only $12.00 each. We could have paid extra for lunch (total price $20.00), but we wanted to spend some girl time at the restaurant of our choice. 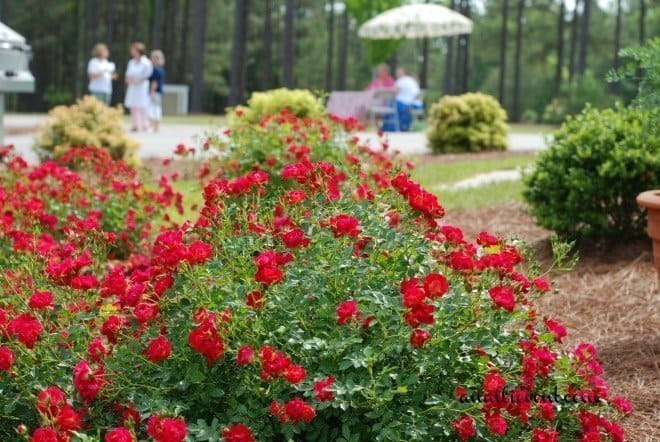 All proceeds from the tour will be used to support a horticultural project for the Matheson Memorial Library in Cheraw. We were given a beautifully designed brochure with directions to each home. It included tidbits of information about the different gardens. I liked how we could tour at our own leisure. We didn’t have to stay with a group. All of the homes were in town except for the very first one. We rode out into the country a bit and when we arrived, we were amazed at the beauty of the home and the grounds. 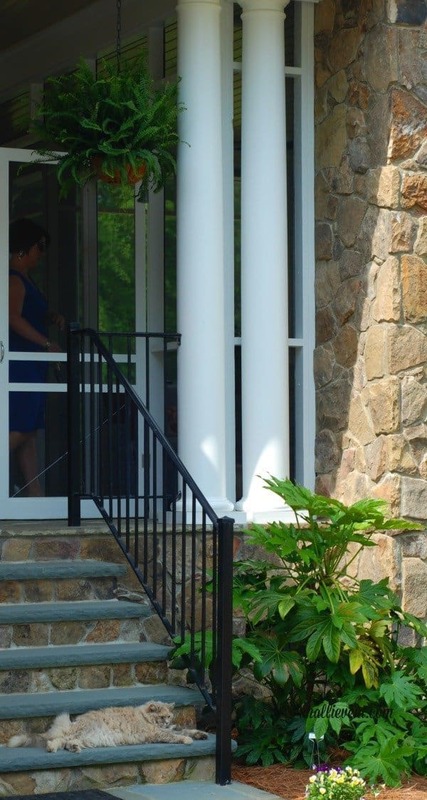 We were warmly greeted by the gracious owner as well as members of the garden club. I was given permission to take pictures (I always ask!). The owner explained that her home was more of a porch tour. The grounds were young and not fully developed. I thought the grounds were exquisite! 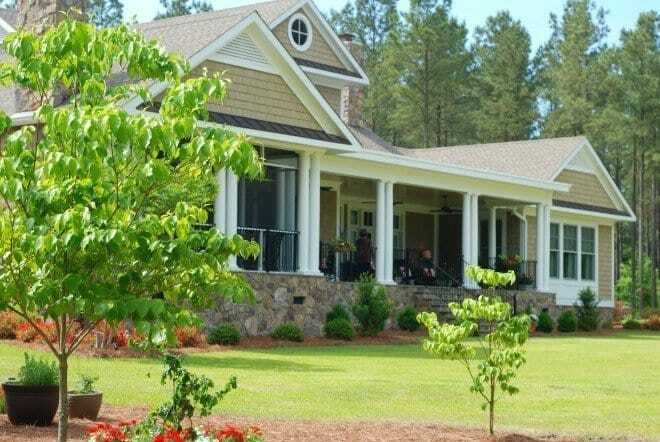 If I had that screened in porch, complete with a fireplace and overlooking the massive fishpond, I don’t think I would ever leave, except maybe to walk over a few steps onto the beautiful patio to rock away my day in one of several rocking chairs. 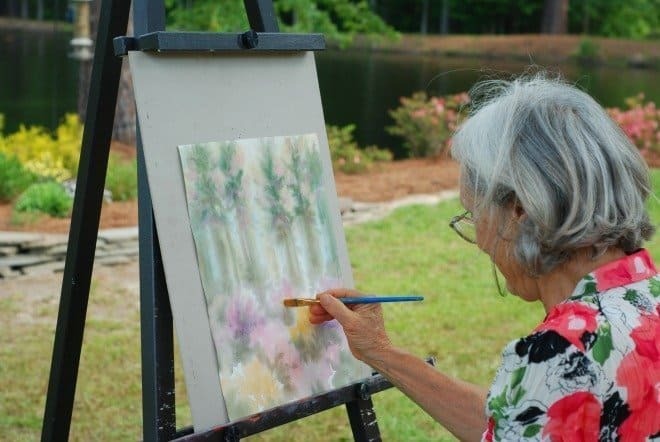 On the grounds of the home, we watched an artist sitting in the shade of the tree painting. She also had little packets of flower seeds from her own garden. She gave the flower seeds away to the participants of the tour. What a beautiful way to begin the tour! Make sure you stop by next Thursday for part 2. The next two gardens are in the historic district. You really don’t want to miss it! You can see part 2 of the garden tour here. Check out the 3rd, 4th, 5th, and 6th part of the tour. Just beautiful! I love the furnishings and the rock floor! Someday I will have a nice porch. For now the best I can manage is a small concrete slab decorated with old galvanized tubs, watering cans and granite-wear filled with flowers. I love going on garden tours. What a fun day you must have had with your daughter. 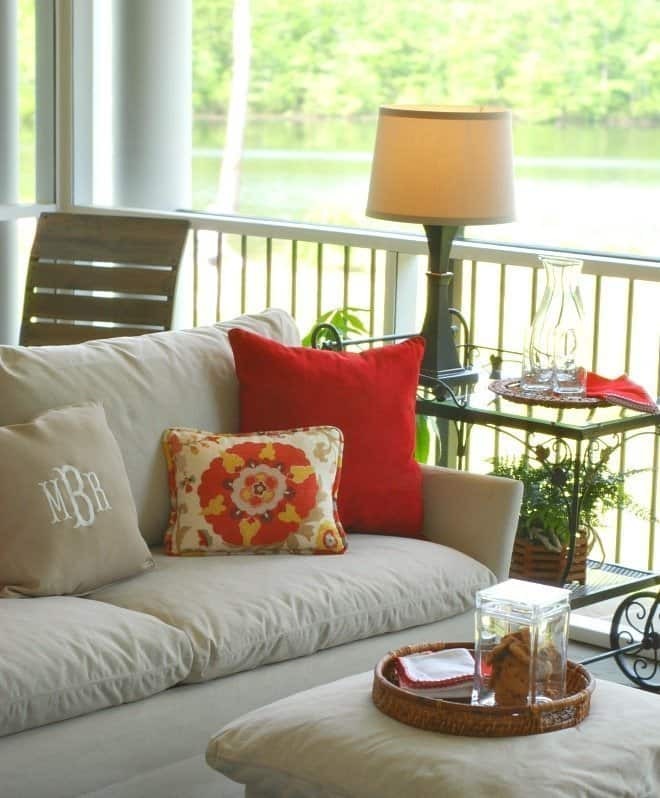 I’m a southern girl and just love a beautiful and comfy screen porch to waste my day in. This was so pretty. Loved the rockers. I loved the rockers, too! I could really spend a lot of time on that porch! Gorgeous! I’d love to waste my day sitting on that porch and taking in the views. Teresa @ Crafty Wife recently posted…Redecorate for Spring Giveaway! I hope our next house has a porch! They are the best. Thanks for the inspiration. Hey Alli, I’m in Columbia…what town are you in? This home is absolutely stunning. When I return to the states, I would love a home similar to this style; such beauty. 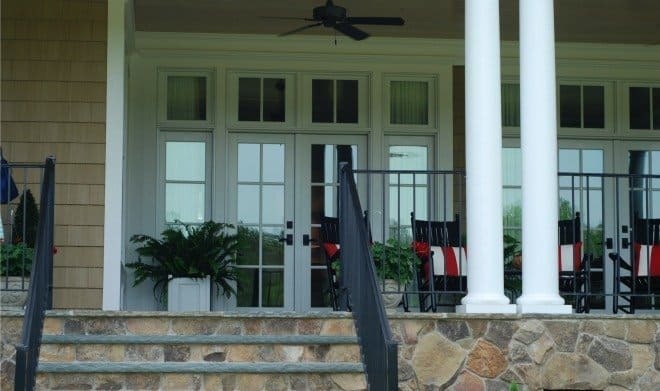 To have a front porch like that…phenomenal. Reginia Cordell recently posted…It’s Summer, What should I do with my kids? It is stunning! I want that porch, too! I KNOW you had a great day! I can’t wait to see the rest of the pictures. When we were younger, we would have fun going through each other’s purses, do you remember that? 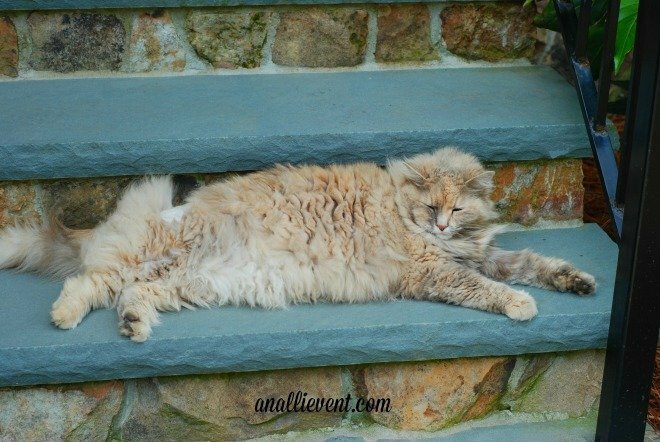 As grown ladies, we still enjoy seeing other people’s things, don’t we 🙂 I love the cat on the bottom step! Beautiful Pictures!! Oh, this is just beautiful! I wish I had known about it. I would love to tour, too! Thank you for the beautiful write up and pictures that you shared. You just have to love the Southern Charm! 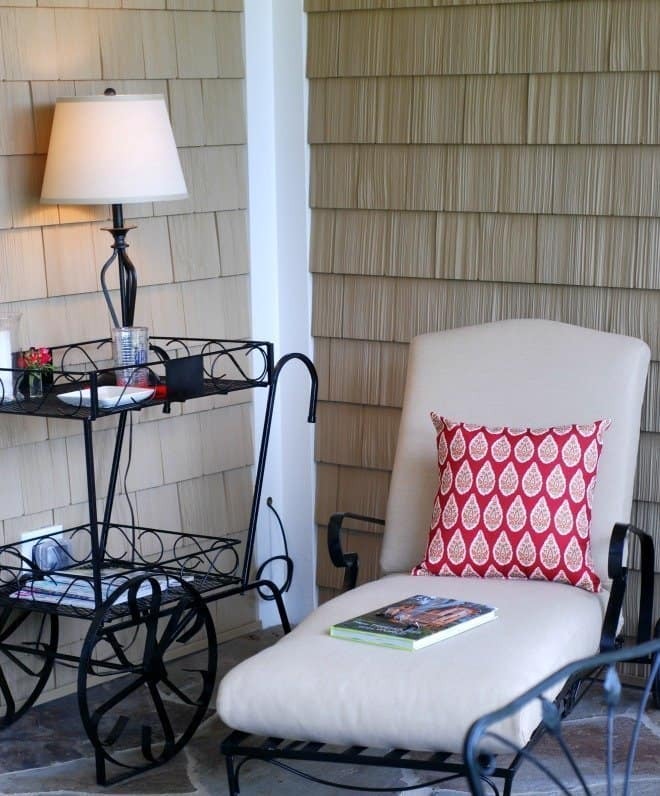 I love that porch – I could spend hours there (and would!!!). Can’t wait to see more of your tour! Kim, I tried to comment on your blog post “The Day I Gave Up.” It kept saying duplicate. Sometimes I want to punch Comment Luv in the face! 🙂 But you should be proud of yourself for all of your accomplishments. I couldn’t run one mile, much less as many as you did run. And dehydration can be a serious situation, so glad you took care of yourself and knew when to stop! Great job, girl!!! Lovely, just lovely! Oh, how do some people come by such beautiful things……and others, oh well!!!!!!!!!! How beautiful! I love garden tours! It is so inspiring to make my own place as nice as possoble. Simply gorgeous! 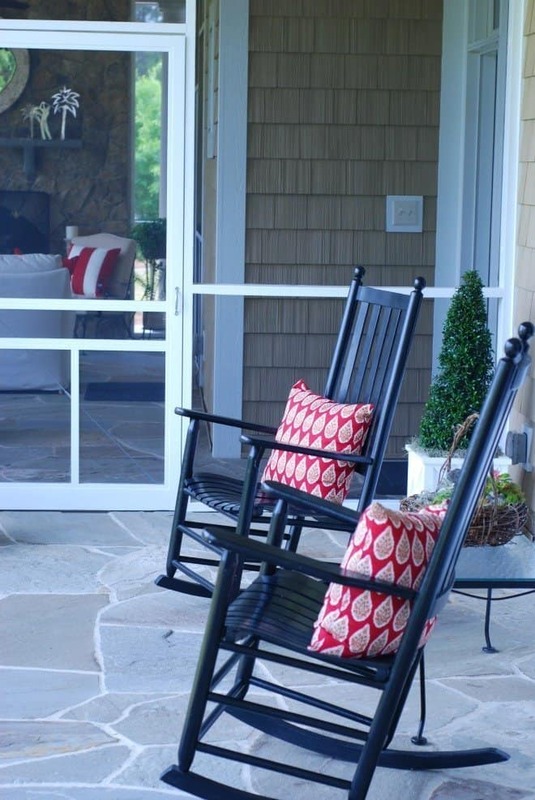 I just love those rocking chairs! Oh my goodness! These are gorgeous. 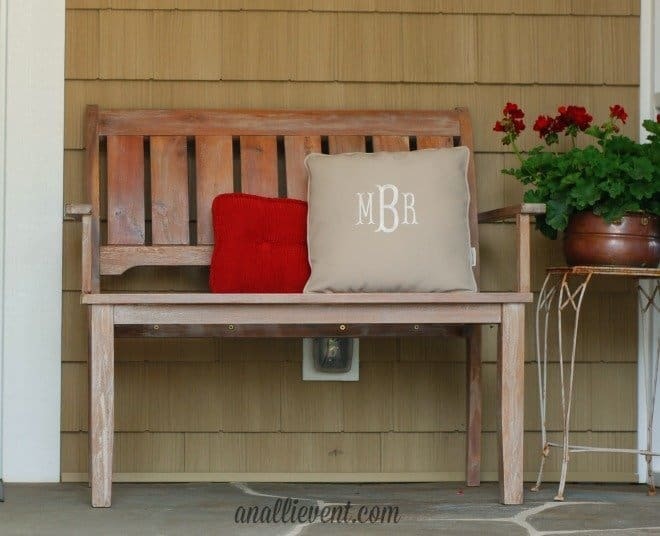 Makes me want my own porch so bad! This is my kind of post! I love gardens and gardening. Our town is celebrating its 200th birthday this year. They are hosting tea-in-the-garden events throughout the summer. I can’t wait to go to the one I bought tickets for. So fun! I’ll waiting for the next posts in this series! Thanks for sharing the tour with us! Beautiful!! I’m a southerner transplanted to New England 16 years ago. I still miss real porches with swings and rocking chairs. 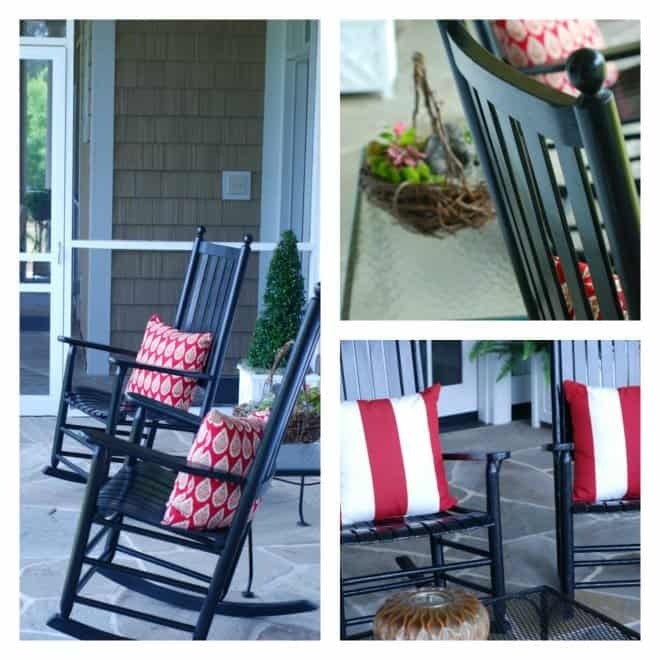 No one does porches like southerners!! Thanks for sharing via Family Fun Friday. I love the photos! Pinned! Thanks for linking at Family Fun Friday.